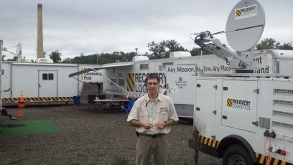 Recovery management offers a true turnkey management and coordination of recovery operations. We tailor our support network specifically to address your particular recovery operation. This gives you freedom to focus on your business while we manage the details – this ensures a successful disaster recovery. Our unique approach also allows our clients to perform at a higher level while using fewer staff – you don’t need to maintain extensive in-house resources. Another advantage you have with Recovery Logistics is the benefit of our proprietary software and unique process for recovery management.